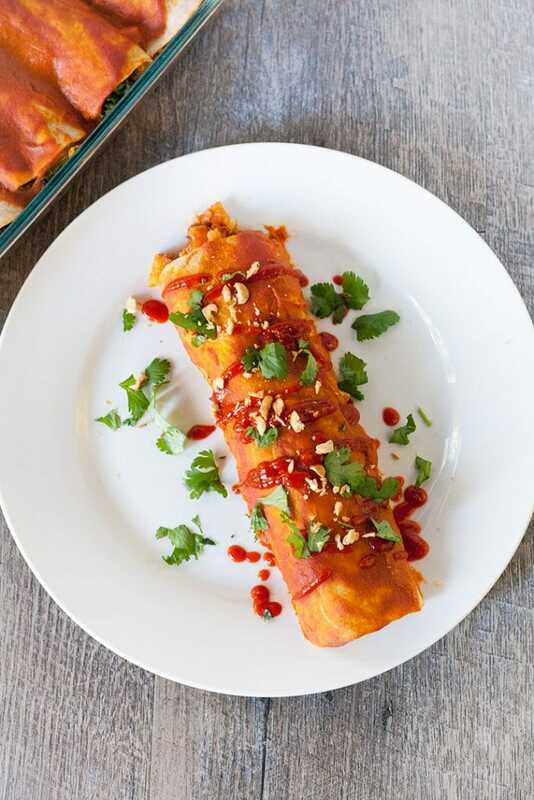 Enchiladas with sweet potatoes and peanut butter? I know these sound strange, but hear me out. 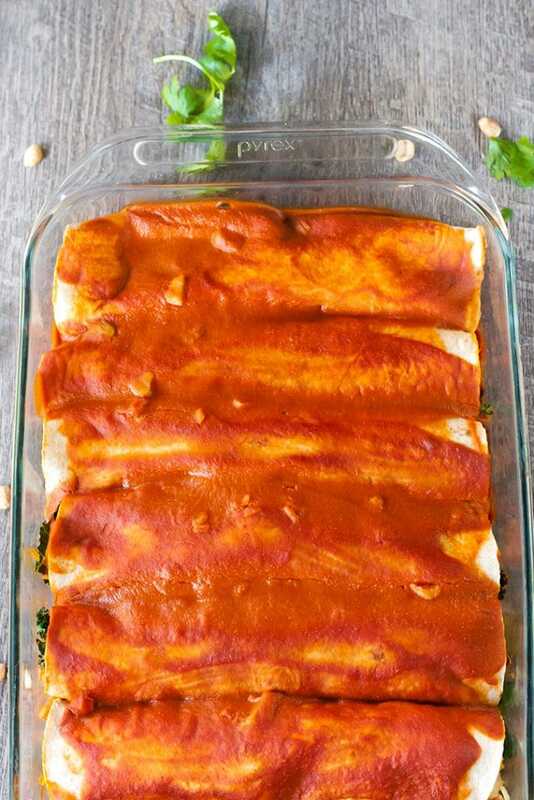 A few days ago I was making some sweet potato black bean enchiladas and it dawned on me that it had a lot of the same ingredients as one of my favorite foods: sweet potato peanut stew. So I decided to try to combine the two! 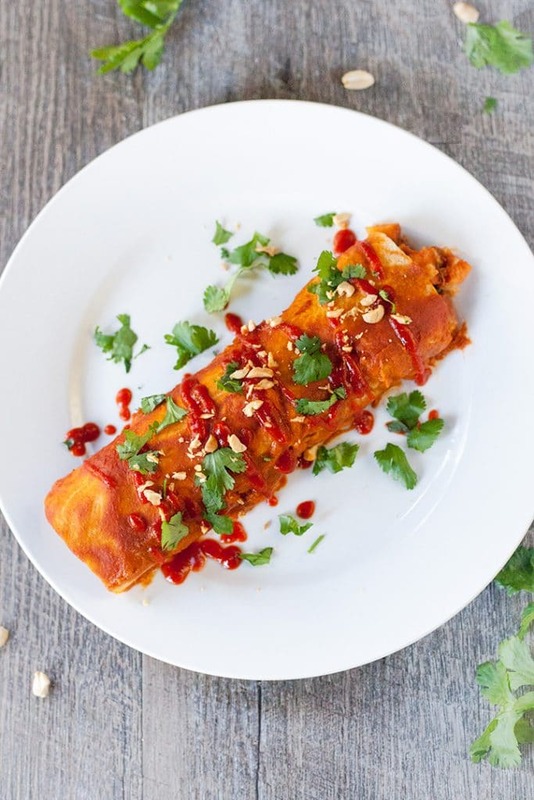 The outside of an enchilada, but filled with ginger, kale, and peanut. The results were fantastic! 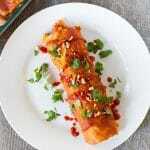 These enchiladas start out with sweet potatoes coated in a little olive oil and roasted. 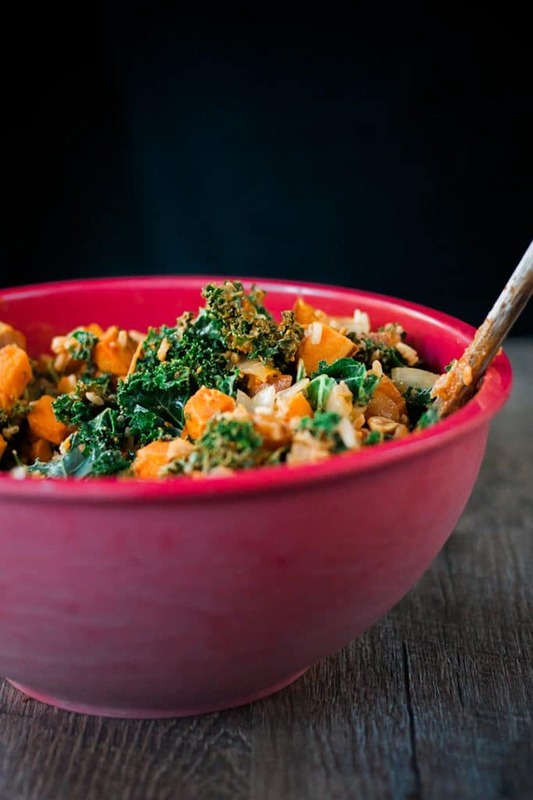 Once the potatoes are soft toss them with the kale, rice, onion, and peanuts along with some of the sauce. Spread sauce on the bottom of each pan. Place tortillas, one at a time, into the sauce to ensure they are completely coated. Top with some sriracha, chopped peanuts, and cilantro. 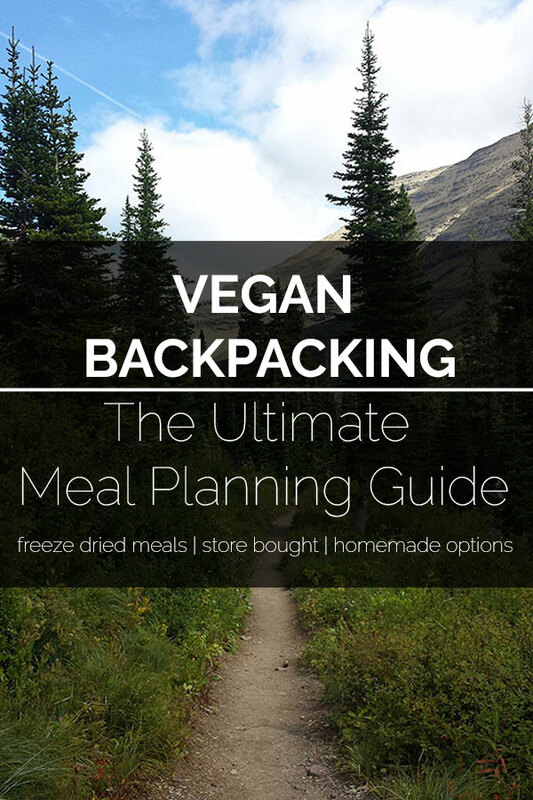 For more vegan dinner recipes check out Chickpea Coconut Curry, Moroccan-Inspired Vegan Lentil and Rice Casserole, and Vegan Banh Mi With Peanut Crusted Tofu. These aren’t your average enchiladas! 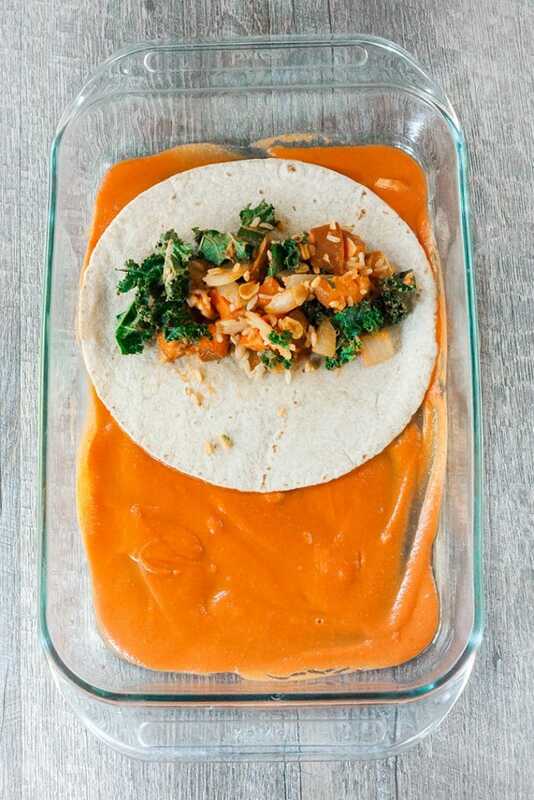 These sweet potato, kale, and rice filled tortillas are covered in a ginger-infused peanut sauce. 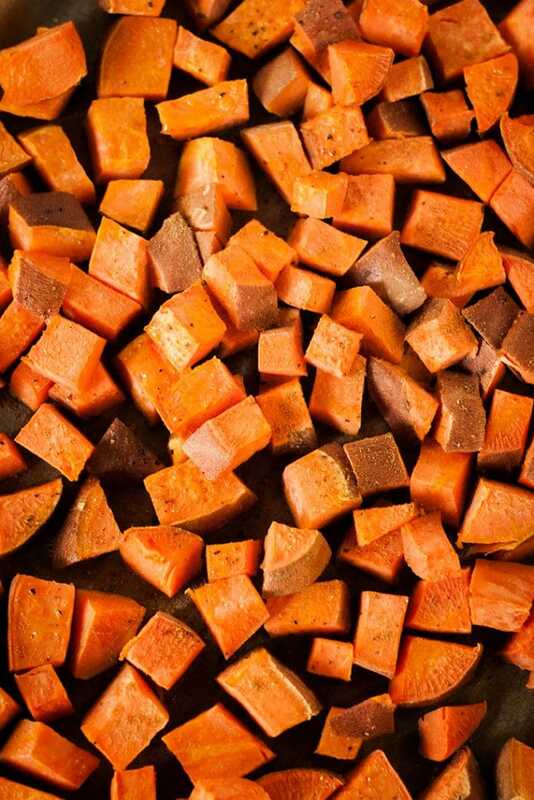 Place the cubed sweet potatoes on a parchment lined baking sheet. Drizzle with 1 Tbsp olive oil and bake for 20-25 mins or until easily pierced with a fork. In the meantime, a large pot heat 1 Tbsp of olive oil over medium heat. Add the onion and cook until transparent. Place the onions in a large mixing bowl for later. Add the remaining 1 Tbsp of oil to the pot and add the garlic and cook until lightly golden. Add the tomato sauce and broth and bring to a boil. Reduce to low heat and add the peanut butter, ginger, cumin, and salt. Add the rice, sweet potatoes, and peanuts to the mixing bowl with the onion. Add 1/2 cup of the sauce and mix well. Using 2 9×13 inch baking pans, spread 1/2 cup of the sauce on the bottom of each. Place tortillas, one at a time, on to the pan to completely cover one side with the peanut sauce. Add a small amount of the fill on the tortilla and roll to form the enchilada. Repeat with the remaining tortillas. Pour the leftover sauce over the top of the tortillas. Optional: top with sriracha, cilantro, and chopped peanuts.